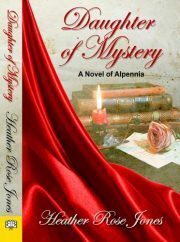 I have known Heather Rose Jones on Livejournal for some years, but only now have I read one of her novels: the 2014 Daughter of Mystery: a Novel of Alpennia. Review tout court: I enjoyed it. Dutiful relatives took the orphaned Margerit Sovitre into their household, offering her the very best bourgeois upbringing. Despite this, her prospects are not especially golden, save for one thing: the wealthy Baron Saveze is her godfather. Her bourgeois kin have great hopes that he will do something for her; she herself is not inclined to place too much dependence on the Baron’s future largesse. He is in delicate health and may not have much of a future in which to bestow largesse. 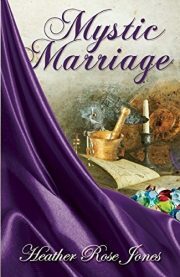 It comes as a tremendous surprise when the Baron dies and leaves his vast fortune to Margerit. It is even more of a surprise to discover that the Baron has also willed Margerit his armin. An armin is not a what but a who, a personal bodyguard. In the Baron’s case, his armin was a young woman named Barbara. These revelations are not greeted with universal joy by all involved.